This week, the island has seen a downpour of rain. That being said, it seems to be raining here about 75% of the year. I had never thought twice about the rain (I actually quite enjoy it) until the first rains this autumn started to arrive. I couldn’t help but wonder how it affects our new honey bees. Since we have had our bees, it has been almost entirely sunny and warm. Now as the weather turns, I am interested to see how this changes the habits of the bees. We have ran out to the hives a few times during downpours to check on them and see what they are up to. When the rain was pouring, we saw one or two brave foragers coming in and out of the hives but for the most part it was quiet. Everyone is huddled inside, eating honey and staying warm - sounds like a perfect rainy day to me. I became curious; is this what the bees will do as son as it rains? Since it rains so much here, I feared that our bees would have trouble surviving while spending all their time inside huddling together, until my research led me to some facts that eased my mind. I learned that it is not necessarily the rain that bothers the bees, but other aspects that may (or may not) accompany the rain. Colder temperatures, barometric pressure, humidity and more are all factors that affect the willingness of our honey bees to forage. This was a relief for me since I knew that under some rainy conditions our bees are still able to go out and provide for themselves in our wet and rainy climate. I have attached some interesting links below on articles about bees in the rain! I also added a quick video I made as we checked on our bees during a downpour. Check out these other blog articles about bees in the rain! For the past month we have sensed some matriarchal issues within our colonies. During one inspection we saw tons of eggs and larvae, the next almost no sgns of her at all and then the next inspection we see her. What is going on? 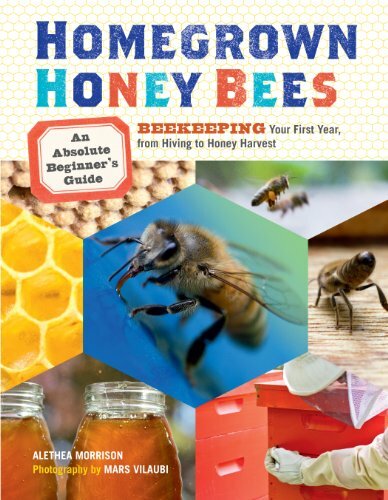 Of course, being the very beginner beekeepers that we are, we realize that it is most likely our lack of expertise that is limiting our inspections. We try to do a thorough job of checking everything out but there have been things that we aren’t sure about. And the only way to get around that is more research, you can’t know more until you learn more! My method of choice for this study session was videos. I started searching and found some awesome clips to help me get a grasp on how queens are made and their behaviours. I have added them in below so we can learn together what exactly makes a queen a queen and why she does what she does. Survey Time: Tell Us How We Are Doing! Time for you, our valued audience, to let us know a little about your reading experience. We started our beekeeping blog to share our experience while becoming brand new beekeepers and also to inspire others to start doing the same! We have had so much fun so far learning about honey bees and how to care for them. Though we are definitely not the most knowledgeable beekeepers out there, we are having a blast during the process. We would love to hear from our viewers to make sure we are on the right track with providing you the content that you can't wait to read! Please help us by filling out this super fast 10 question survey. Trust us, it will only take a minute! Do you keep bees of your own? Yes, I am a full-time beekeeper! How did you find The Honey Diaries? How often do you visit our blog? How do you find out about new posts? How do you feel about the frequency of our posts? What type of posts are your favourite? 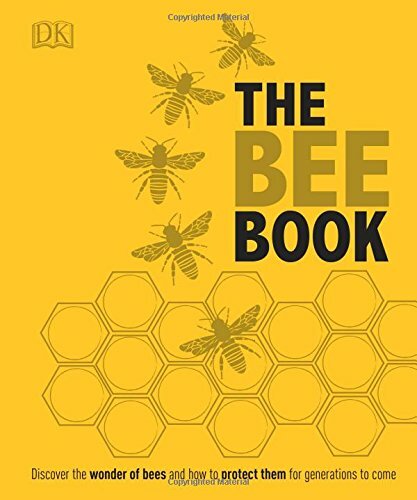 Is there anything about bees/beekeeping that you would like to learn or know more about? Interested in Submitting a Guest Blog Post? We are always open to expert advice! If you have a great idea about a blog post you could write for us, let's chat!